Artists’ Palette magazine is an excellent source of inspiration so it’s a great honour to be included in the edition currently in the shops, issue #105. 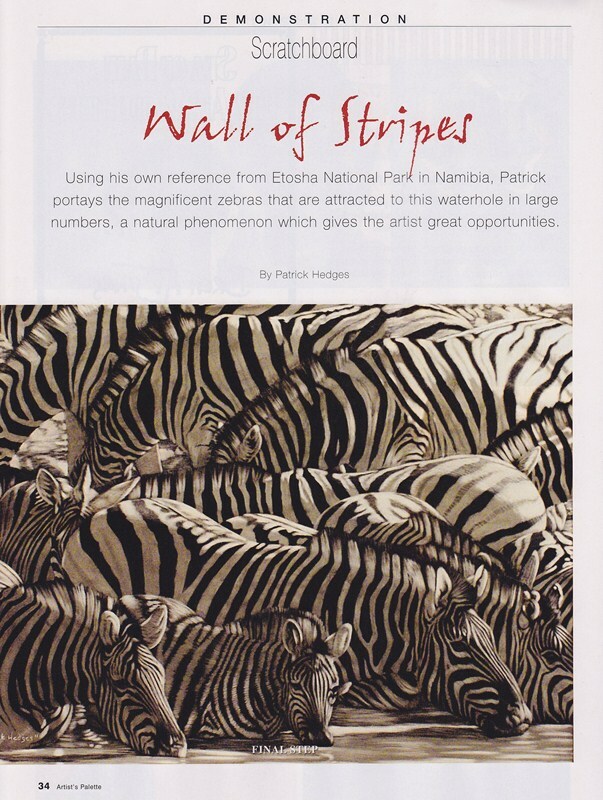 I have sixteen artworks published plus a demonstration of a zebra scratchboard. Also, there are four artworks by my dad in there. He was a huge inspiration to me and, despite losing him when I was thirteen, he showed me the way in life. His art was gorgeous and always represented those African animals that he loved so much. 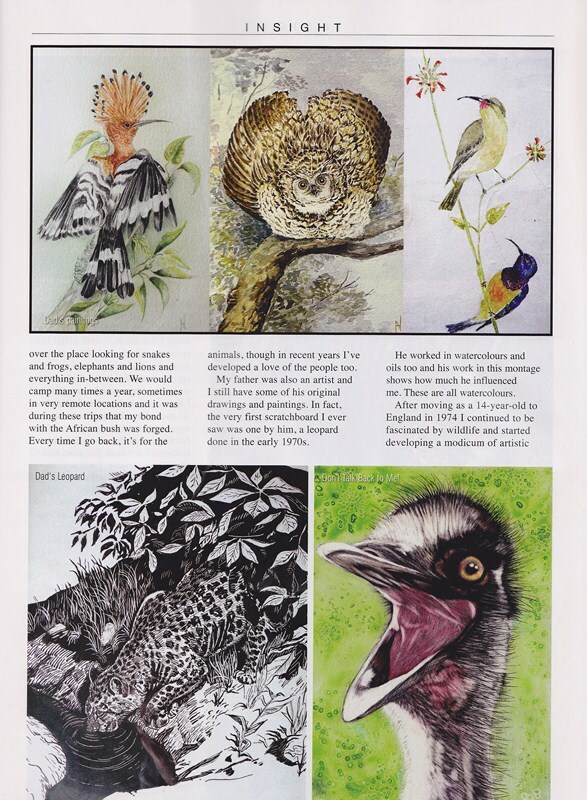 Below are a couple of pages from the magazine article including the page with the four pieces my dad did. If you go to the menu above, “About Me” and then “Publications”, I will be putting up a montage of the whole article.